Two Christian brothers, Ushahemba and Sughter Kumashenge, were ambushed and killed by Fulani militants on Saturday, August 22nd. The incident occurred on their farm in Taraba state, lending to concerns that militants in Nigeria’s middle belt—consisting of Kaduna, Taraba, Benue and Nasarawa states—are joining forces with jihadists for the specific purpose of driving out Christians. 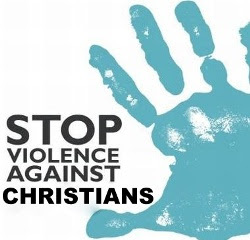 Over the summer, the violent attacks had intensified throughout northern Nigeria and its neighbouring country of Cameroon, causing some Christians in affected areas to refrain from attending church. On Saturday, July 25th, a 12-year-old girl detonated a suicide bomb within a crowded area in Maroua, northern Cameroon, killing 20 people and injuring 79 others. The following Friday, July 31st, six people died and eleven were injured in a massive bomb explosion at a market in Maiduguri, Nigeria—the traditional heartland of the Nigerian violence. Pieces of human flesh were seen this Saturday morning littering the roadside in Nyanya, a suburb of Abuja, where an explosive went off yesterday. The explosive was said to have been detonated at the Jikwoyi Park, Nyanya, on the popular Abuja-Keffi Expressway, claiming yet-to-be ascertained number of lives. The late Friday incident was the third to be recorded in that vicinity. Two previous incidents with heavy casualties were witnessed there last year. Nigerian President Muhammadu Buhari visited Cameroon at the end of July in order to bolster collaborative efforts against the notorious Boko Haram terrorist group. Fortunately, the Nigerian military reported on August 2nd that they had rescued 178 people, including 101 children, all of whom had been taken captive by Boko Haram in the Nigerian state of Borno. Prayer: Ask the Lord to minister healing to all who were injured and provide comfort to those who are now mourning the loss of loved ones. May He also calm the violence in these affected regions and alleviate mounting fears. As religious and political leaders make difficult decisions in their efforts to resolve the country’s crisis, pray for God to grant them wisdom and clear direction so that all those whom they govern may be able to live “peaceful and quiet lives in all godliness and holiness” (1 Timothy 2:2). Also, a teenager from eastern Uganda, whose parents had converted to Christianity, was gang raped and beaten a few weeks ago. The 19-year-old college student was still receiving hospital treatment nine days after the attack which took place in the Bukedea district. Prayer: Ask the Lord to greatly comfort and heal both of the young Christian women who were raped and beaten. May He protect them from any further harm, and bring needed comfort to their concerned families, strengthening each of them in their faith. In addition, please uphold the abused mother from Budaka who was forced to convert to Islam, praying that she will experience God’s presence, restoration and protection. Ask Him to also protect her children—both physically and spiritually. Let us also be mindful to intercede on behalf of our other persecuted brothers and sisters in Uganda, praying that they will put their trust fully in God, even amid the rising persecution in certain areas—particularly against Christians of a Muslim background.